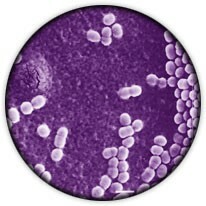 The lactic acid bacteria commonly found in milk and cheese and are used to produce beverages and foods (ex.yogurt). Are present in breast milk with the function of "colonization" of the newborn intestine, where they give rise to bacterial flora, which will remain throughout the individual's life, although the amount of lactobacilli regresses progressively with age . - Promote intestinal flora, thereby hampering the development of many harmful microorganisms, including bacteria harmful. Often there is a need for a rebalancing of gut flora (alteration of intestinal flora, caused by eg antibiotics, or from situations of immunodeficiency, physical and emotional stress ...), but our daily diet is hardly able to meet this need, as food is scarce so-called "live", for example, even today the pasteurized milk Lactobacilli interesting content. It may be useful to use both the integration of live yoghurt. Even if the lactic acid bacteria are able to cross the barrier sour stomach (especially Lactobacillus acidophilus), so that they can reach more easily and security the intestine, it is very useful to a diet that render the stomach same environment as little as possible acid , for example, a diet of raw vegetables (vegetables and fruits). E 'to avoid the intake of lactic acid bacteria associated with food and acid (protein foods in general and sweet foods). frequency of administrationthe possible presence of vitamins, yeast, amino acids, mineral salts and prebiotics (ex. inulin). All these different types of preparations must still be taken between meals, many, but not all, must be stored in the refrigerator between 2 ° and 10 °, for some, such as powders, simply storing in a cool, dry place. Particular attention should be paid to the expiration date, in fact, after this date, the products become ineffective.